This two bin storage and drying project started with the construction of twin Sukup 33,000-bushel storage bins. Upon completion, power sweeps with horizontal powerhead were installed. The centrifugal fans with low temp burners provide this customer options to help control humidity so natural air drying is more efficient. 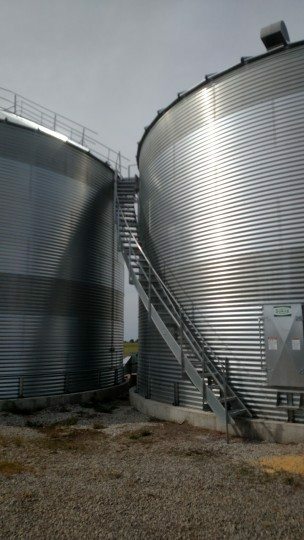 Stairs and a roof rails were installed thus providing safety and security for both the farmer and farm hands working on the bins. Whether your needs are single structure or multiple structures with incremental add-ons, let us help develop the solution that is right for every facet of your project. You’ll be glad you did! This is just one of a variety of grain storage and handling systems we can provide for you. At FS Construction Services, we are here to design and build the solution you want in the fastest way possible. 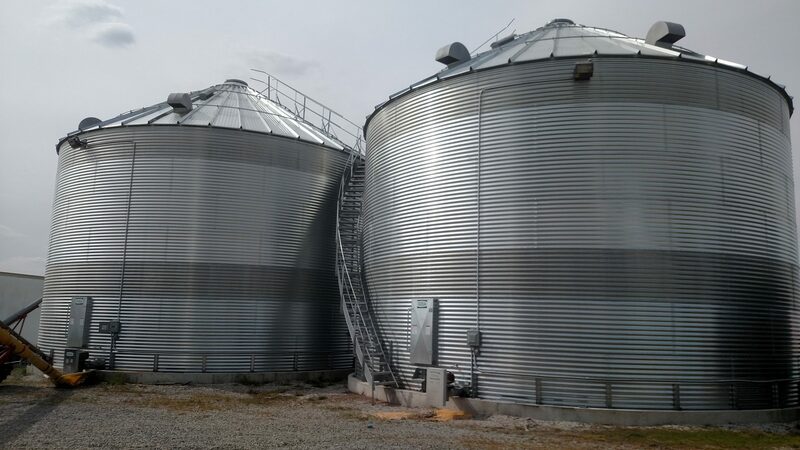 For more information regarding grain storage and handling system construction, please do not hesitate to contact us at 866-551-3454. We look forward to providing you with the best customer service experience.